The BLU-806 has open architecture which is fully configurable through HiQnet™ London Architect. A rich palette of processing and logic objects and a “drag and drop” method of configuration provide a simple and familiar design environment. This processor features Dante audio with primary and secondary ports for fault tolerance, with control through a separate Ethernet port. 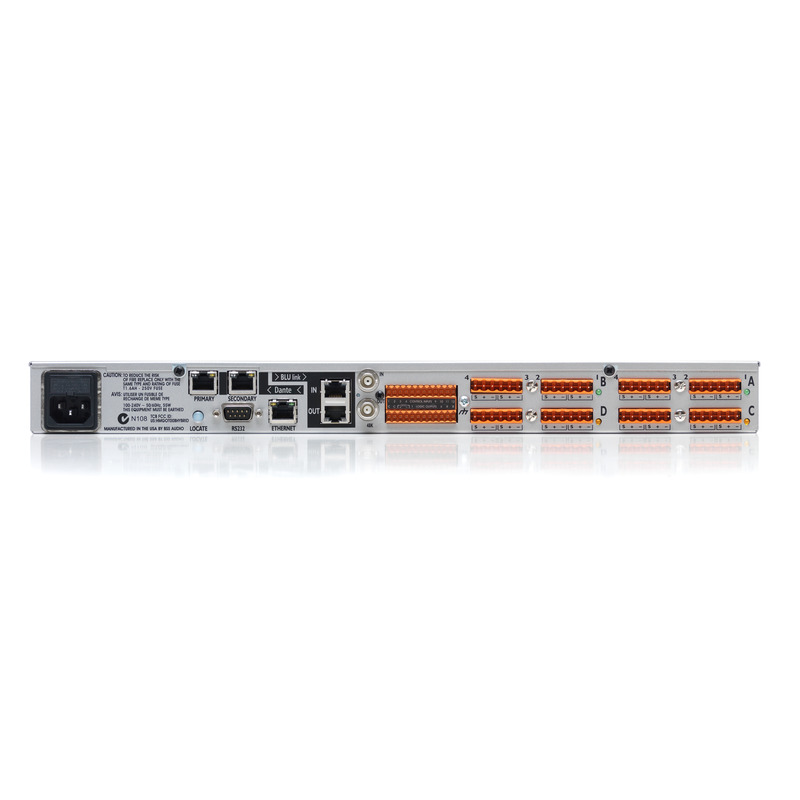 The BLU-806 also features a low latency, fault tolerant digital audio bus of 256 channels which uses standard Category 5e cabling giving a distance of 100m between compatible devices. Fiber optic media converters can be used to increase the distance between devices to over 40km. 12 Control Inputs and 6 Logic Outputs allow the BLU-806 to be integrated with GPIO compatible devices. The Soundweb London Interface Kit, comprehensive documentation which details how Soundweb London systems can be integrated with third party control systems, is included within the installation of HiQnet London Architect. The BLU-806 and the other members of the Soundweb London family provide the building blocks of the perfectly tailored system solution.